We are all aware of the climate that is changing. 2016 has been the hottest year since record keeping began; this is caused by our undeniable dependence on oil and its corresponding pollution. This is also fairly distressing when you consider that the industrial revolution only took place just over 100 years ago. We still have time to save ourselves though; and luckily for us, we have formed a symbiotic relationship with technology. It is in technology that we will find our salvation. 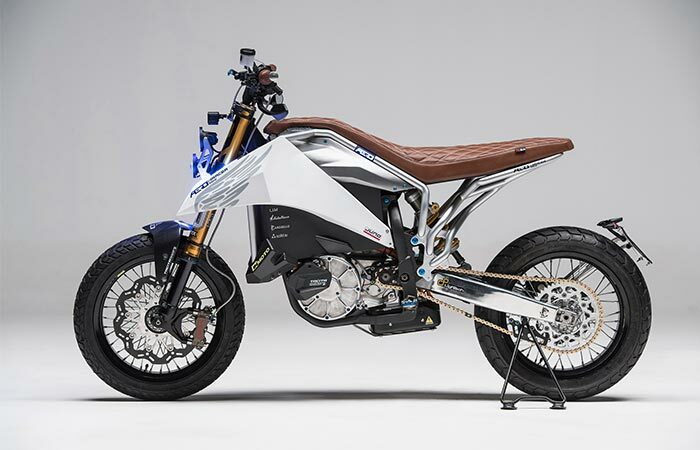 Some amazing technological innovations have taken place in the past few years; we are specifically speaking about the innovations in Electric Motorcycles. The move to electric vehicles has been an extraordinary leap for some, while being a slow procession for others. However, that being said, nobody can deny that they are the way of the future. 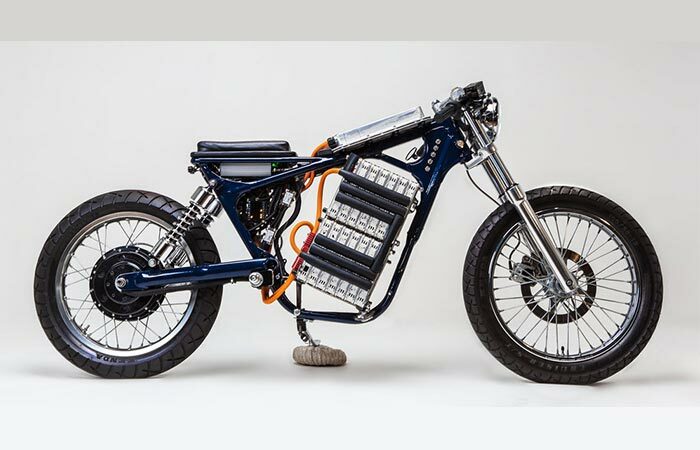 So, without further ado, we are going to elaborate into why you should consider an electric motorcycle. The Aero E Racer was designed to be an urban commuter. It has a range of 40 miles and can charge in 35 minutes on a level 2 charger. We all know that gasoline motorcycles contribute to greenhouse gases and carbon emissions. In fact, contrary to popular belief, motorcycles actually have more emissions than cars. This is not the case with Carbon Dioxide (CO2), since it is about half of that of a car; but it is the case with other emissions such as Hydrocarbons (HC), nitrogen oxides (NOx) and carbon monoxide (CO). When you switch over to an electric motorcycle you are actually going green and helping to preserve the planet. This is also compounded by the fact that they are more efficient than their gasoline counterparts; we’ll cover this in the next point. Essentially, an electric motorcycle has zero emissions since it does not use gas to run; no gas, no combustion, no detrimental by-products. However, electric motorcycles do need to be charged. Even though they use electricity, they are still much greener than gasoline motorcycles. This has a direct and measurable effect on environmental impact and climate change. The Zero S by Zero Motorcycles is one of the most efficient motorcycles on the market. With its added battery pack, it has a range of up to 202 miles and a battery life of 300,000+ miles. Internal Combustion Engines (ICE) are notoriously inefficient and electric motorcycle drivetrains win hands down in this department. Actually, ICE’s have an energy to mile driven efficiency of about 25% while electric drivetrains average at about 75%. This is due to heat losses, inertia losses, and ICE’s are thermodynamic systems that have their efficiency throttled by heat cycles. When you choose an electric motorcycle, this is no longer the case. As a matter of fact, it takes about 6kWh of electricity to produce one gallon of gasoline. 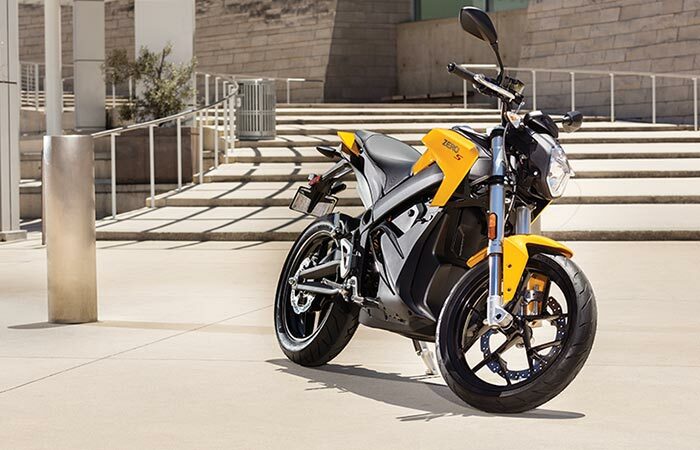 Now, with technological innovation, if we take the Zero S Electric by Zero Motorcycles as an example, with its added battery pack, it can hold 16.3 kWh of power. Surprisingly enough, this motorcycle has a range of 202 miles in the city. That gives you an astonishing 93.08 miles per gallon, if you take the energy conversion equivalent. Needless to say, this is far more efficient than any gasoline motorcycle. The Phaser Type 1 can reach speeds of up to 110 miles per hour and has a range of about 60 miles. It was also inspired by Akira. This seems to be a no-brainer, but there are some points to highlight. Firstly, electric motorcycles are fairly expensive, and electricity is not free either. However, when purchasing an electric motorcycle, you usually get a government subsidy for ‘going green’. Secondly, electricity is far cheaper than gasoline. The average American spends over $2000 a year just on gas. When you move over to an electric motorcycle, this amount falls drastically. As our oil supply starts running dry, gas prices start to soar. This is not necessarily the case with electricity. When you take into account that you only need to charge your electric vehicle, and that electricity only costs about $0.12 per kWh, you can already see how much money you save in the long run. For example, to completely charge the Zero S, with its added 16.3kWh battery pack, it will only cost you about $1.95. That is less than a gallon of gasoline and you get far more mileage out of it. So, not only do you save money on your purchase because of the subsidies, but you save a lot of money on gasoline as well. This does not include the cash that you’ll save on maintenance, which we’ll cover later. The Voxan Wattman is one of the most powerful motorcycle on the market. It contends with 1000cc super bikes and can deliver up to 200 horsepower. Technology is an amazing thing. Global corporations and governments around the world use Ray Kurzweil’s historical trends of exponential growth charts to predict the future. Basically, what these charts predict is that technology will be more than a quadrillion times improved in 50 years’ time, than what it is now. However, in many ways, the future is already here. Especially when it comes to electric motorcycles. The problem with electric motorcycles, and EV’s in general, was that they lacked power, speed and range, but that is quickly changing. For instance, the Voxan Wattman, that was produced in 2013 is almost on par with 1000cc gasoline motorcycles. 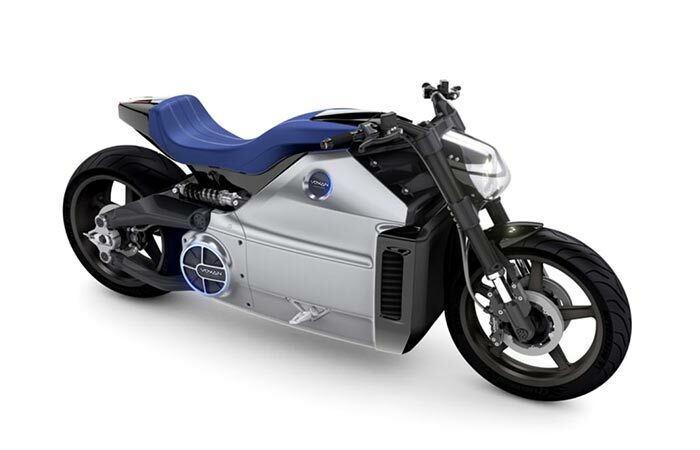 This motorcycle boasts 200 hp (150kW) of power at full tilt, and it can accelerate from 0 to 100 mph in 5.9 seconds. It also has a top speed of 106 mph. The Wattman also delivers 150 foot-pounds of torque at 10,500rpm. Now, that is impressive, but it doesn’t quite meet the mark yet when compared to 1000cc super bikes. However, if we had to follow Kurzweil’s trend, within 3 to 5 years, electric motorcycles will be on par, or even surpass, their gasoline counterparts. The ‘Leafy Savage’ is a custom built motorcycle from Night Shift Bikes. It features a 2003 Suzuki Savage frame with a battery pack from a Nissan Leaf and a motor by Enertac. The problem with gasoline lays in the fact that it is refined from crude oil. Now, even though various sources say that we won’t run out of oil, it is only logical that we will. Even if it is only in 1000 years or more. That being said, we all know that our dependence on fossil fuels is destroying the planet. To counteract this problem, scientists from around the world have started developing bio-diesel, improving on wind, solar, and geothermal energy, and a variety of clean and renewable energy sources. It is not impossible to imagine a future where gasoline will become obsolete. Norway has taken the lead in this task and decreed that they want 100% of all new vehicle sales by 2025 to be completely electric. There are numerous other European countries that are aiming towards such a goal as well. In short, what this means is that as our technology evolves, so does our capabilities to build better and more powerful electric vehicles, including motorcycles. As this takes place, we would not need gasoline anymore. Electricity is cleaner, greener and far cheaper than gasoline. In order to save the planet, we need to move away from our dependence on oil and gasoline. This is when you take into consideration that gasoline vehicles contribute directly to global warming. 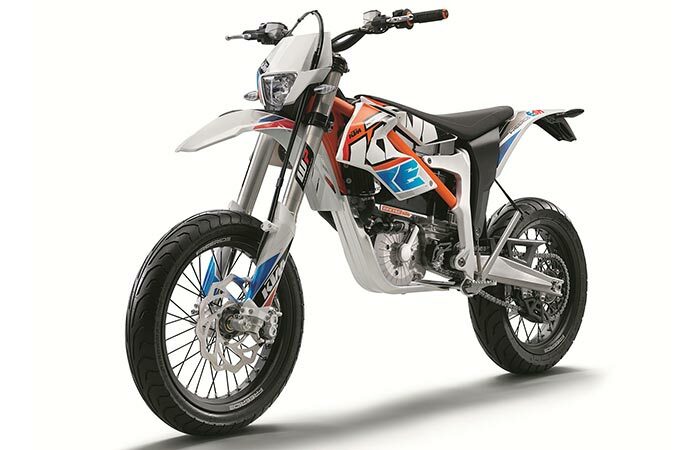 The KTM FreeRide E-SM is a fully street legal electric motorcycle. It has about 1 hour of driving time and comes with three different modes – Eco, Standard, and Advanced. One of the most beautiful aspects of electric motorcycles lays in their maintenance. Electric motors have far fewer moving parts than gasoline engines and they don’t require extra oil. Usually, all of the oil and grease that is needed comes with the bike when you purchase it. The basic maintenance that you would have to do is to simply keep it clean, change your brakes, and various other small tidbits. 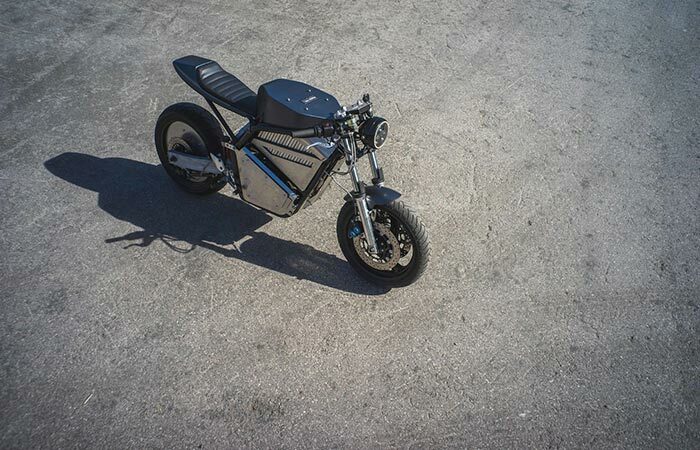 Essentially, there is very little to no maintenance with an electric motorcycle. Albeit, it is still a good idea to have it serviced once in a while. Well, after all of that info, we hope that we gave you a general idea on why you should consider an electric motorcycle. You can also check out some of the amazing electric motorcycles and vehicles that we have written about here. They truly are the way of the future. 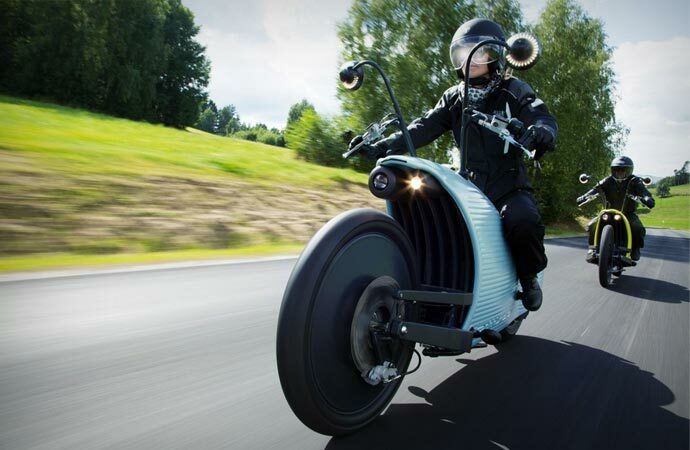 The Johammer J1 is a commercially available electric motorcycle. The more powerful version has a range of up to 124 miles.